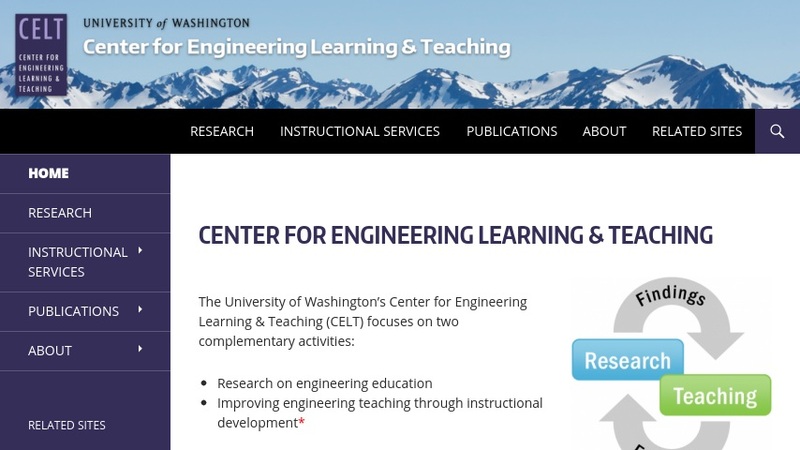 The Center for Engineering, Learning, and Teaching (CELT) at the University of Washington College of Engineering is a collaboration between educational researchers, colleagues from the University of Washington and other U.S. institutions to conduct research that advances engineering education. The website highlights current research activities, which focus on ways to improve teaching and learning in design engineering as well as developing and evaluating instruction that enhances knowledge integration. A third area of research examines the ways in which faculty incorporate research on engineering student learning into teaching. A review of the relevance of the project for engineering education and significant findings are posted for each research area. Consultation services are described and a listing of the publications can be searched by key word.